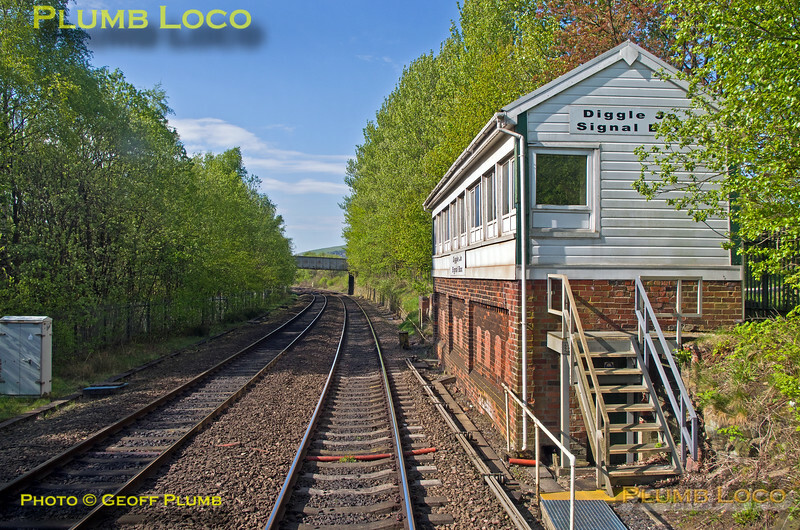 After stopping at the signal around the curve for the correct route to be set, this is the view from the rear cab of 185 108 as the BLS "Vallum Hadriani Tracker" tour passes Diggle Junction Signal Box prior to running along the Down Passenger Loop. 09:37, Sunday 7th May 2017. Digital Image No. IGMP26401.